Check out our website for a current list of events! For the best response, contact us via phone @ 281-769-2961 or email katy@pinotspalette.com. Be sure to include a good contact phone number. 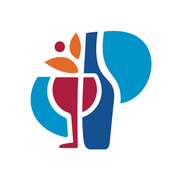 Rate and review Pinot's Palette in Katy, TX, United States! Share your experiences at Pinot's Palette with your friends or discover more Arts & Entertainment in Katy, TX, United States.